Abstract: This September is bound to be special. 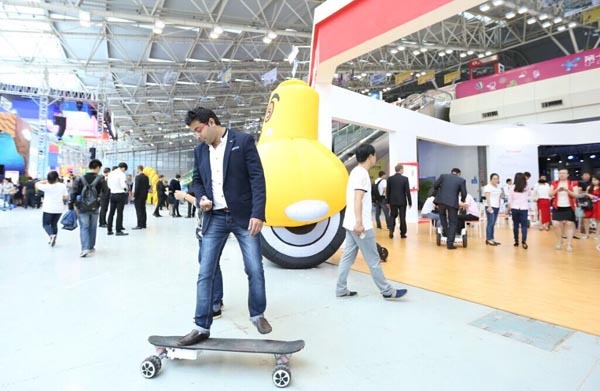 September 29, 2015 has seen the launch of Airwheel M3 electric skateboard at the product release conference. This new product is quite different from other models created by Airwheel, which enables riders to surf on land and also makes their life better. 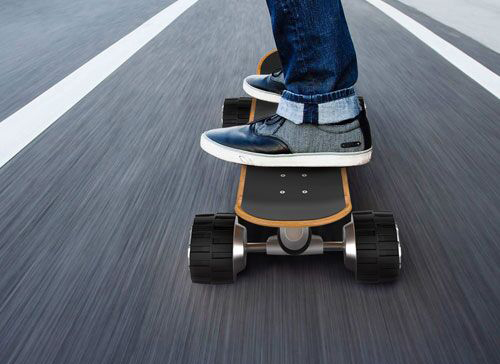 September 29, 2015 witnessed the launch of Airwheel M3 electric skateboard, a new member of the new product series from Airwheel. This innovative product enables users to surf on land as well as makes their life better and easier. According to his observation, he found that M3 was actually quite different from other series. On the whole, M3 is more of a skateboard consisting of four wheels. What's worth mentioning, the wheels are made of customized Cheng Shin tires which feature skid proof, strong grip effect and wide tire design. In this way, the riders' safety is well ensured. When Tom was riding the vehicle, he felt so stable and comfortable, which was quite a pleasant experience. Surprisingly, the maple electric skateboard M3 is equipped with a 2.4G handheld wireless remote control to decide the directions, which is differently designed from other Airwheel models. Generally, Airwheel products are designed in the principle of gyroscope system and controlled by a self-balancing manner. On the contrary, M3 is steered via the remote control in the hand of riders. The wireless speed remote control is well created with small size. Tom can easily control the directions of the vehicle and give full play to his innovation. When he has time, he will take a free ride with this new vehicle in the park and have some quality time on his own. In conclusion, Airwheel M3 wireless remote control skateboards, novel and high-tech, is such a groundbreaking vehicle that can enable riders' lives to become better and easier. Next：The Mysteries of New Lifestyles in Cities—Airwheel Intelligent Scooters.